THIS ITEM IS NOT AVAILABLE AT PRESENT. WE WILL NOT BE GETTING ANYMORE Batman 1966 Batgirl Action Figure. From the Batman collection by Funko. 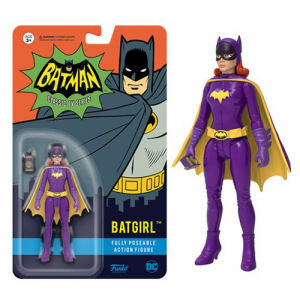 Batman 1966 Batgirl Action Figure. Batman features 9 points of articulation and measures approximately 3.75 inches tall. Funko Batman Action Figures shipping from Canada. No Surprise Border fees or Customs!